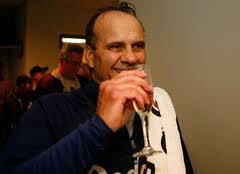 Joe Torre says MLB may ban alcohol from all big-league clubhouses after Red Sox drinking debacle. In the wake of the revelations that Red Sox players were drinking beer in the clubhouse during games during their September collapse, Major League Baseball is looking into the idea of banning alcohol from all big-league clubhouses. Joe Torre, the league’s executive vice president for baseball operations, said there was “concern” about the allegations in Boston, so MLB will “get all the facts” before moving forward.